Commercial Roofing Contractors Edison | Roof Repair New Jersey | Commercial Roof Repair 08817 - S & S Roofing Inc. The maintenance of your commercial roof is of the utmost importance. Regardless of who installed it, S & S Roofing is here to ensure the investment you made is in proper order. Winner of Firestone Master Contractor for the 16th consecutive year, S & S Roofing has a quality reputation to support our promised services. 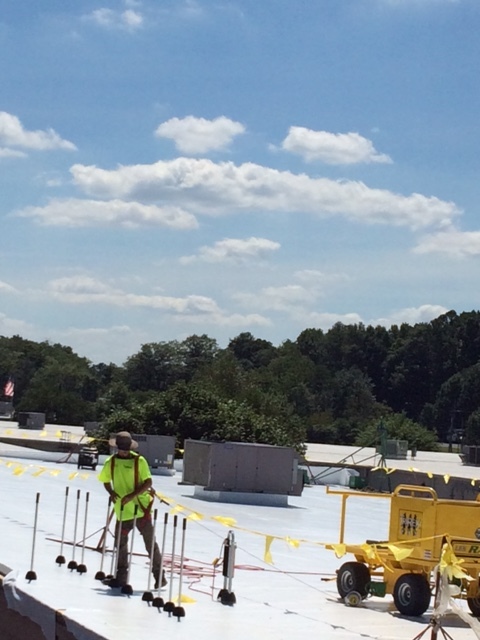 We have repaired or installed thousands of commercial and low-slope roofs on the East Coast over the last 30 years. Our team is fully equipped to fix or prevent any leaks, punctures, harmed flashing, and the like. We strive to provide quality service you can trust, and the unparalleled customer service you deserve. With only the highest quality materials, you can be sure S & S Roofing will be setting you up for success and safety. Have an emergency? No problem! We provide an emergency team that is available to you when you need them, and need them now. With proper care and maintenance, your roof is sure to provide the safety and structure it’s designed to do, for the time it’s designed to last. Contact S & S Roofing today to schedule an inspection, or visit our site to learn more. Proudly serving the Edison area.